Experience luxury transportation in NY labeled NY Travel Limo. Whenever you are in need of a limo service in Brooklyn, Long Island, New York or Manhattan to take you to an important meeting, or to catch a flight at the JFK, LaGuardia or Newark Airport, you can rely on the elegant limos of NY Travel Limo Ltd. Committed to serving the public and providing dependable and the finest NY Travel limo service 24/7, we at NY Travel Limo Service. always go the extra mile to give you a memorable trip. We always consider our customers’ needs when delivering airport or wedding limo service Long Island NY so you enjoy the luxury and glamour of traveling in our high-end limousines without the stress of unjustified rates. 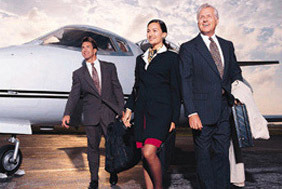 Our first-class limos will move you smoothly to and from JFK, LaGuardia or the Newark Airport without the rough pricing. With fruitful years in the wedding limousine and airport transportation industry, NY Travel Limo. 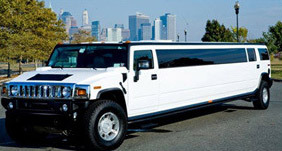 has built a strong reputation as a reliable and trustworthy cheap NY Travel Limo company. We bring limo transportation to its optimum! Conquering the roads of the Big Apple, NY Travel Limo. lets the whole gang party in luxury with our 22-passenger Hummer SUV in New York. We want to be part of the most special occasions in your life. Let us steer the wheel in Brooklyn NY & Long Island before and after you walk down the aisle on you wedding day. We have customized limos that were based on the most innovative designs in the market today to bring more glitter on the most shining part of your life. We will be also happy to take you to and from the airport of LaGuardia, Newark or JFK in our limousine for your honeymoon. Start it right by choosing the most romantic limo with stunning interiors. Our humble limo chauffeurs will gladly pick you up anywhere in New York. You can never go wrong with NY Limo. as we drive you to any point of destination, or special event such as a bachelorette party or prom night, in style, luxury, and comfort. For premium limousine transportation service in Brooklyn, Long Island & Manhattan, NY, only turn to NY Travel Limo. Our company also offers cheap limo services from Newark, NJ, to New York and other affordable NYC tours. With an easy reservation process, superior customer service and always reliable transportation, we’re your headquarters for NYC limousines and more. In fact, we’re the leading company in the New York and Long Island region for everything from wedding limousines to sightseeing tours for the whole family. Don’t mar your special day or important occasion with less than professional drivers, or vehicles that don’t sparkle with regular maintenance and frequent detailing. There are plenty of transportation companies in our area-and yet, there’s only one choice when you require the very best. And our rates are extremely affordable! We guarantee you’ll be pleasantly surprised. Remember, NYLimos is more than just wedding limos, too. Whether you’re looking for the perfect prom limo or need stylish transportation to and from a gala or even just an anniversary dinner, we’re the company people trust for the New York City area. With always brand new stretch limousines and luxury sedans that we take real pride in caring for, you’ll be impressed with how comfortable and stress-free it is to ride in one of our vehicles. Say goodbye to the hassles that come with other transportation companies! FREE champagne included with booking.